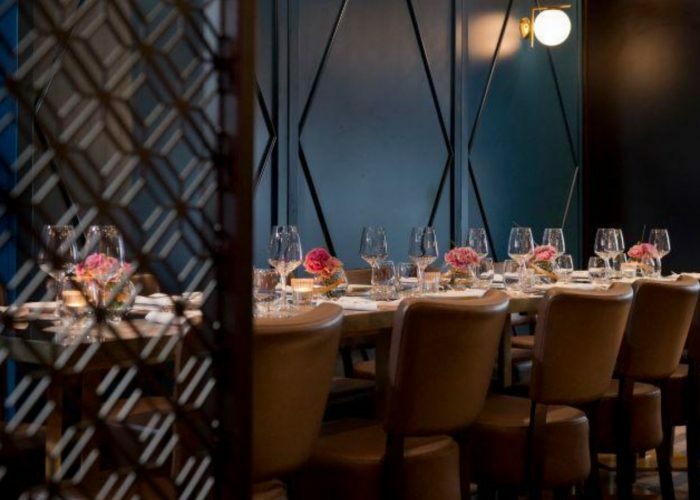 Private Dining Rooms at Ritorno Covent Garden - 30 Great Queen Street, London WC2B 5BB. 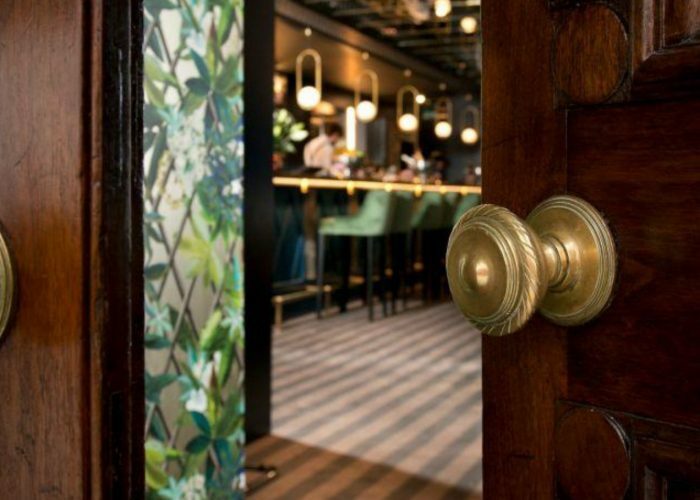 Thank you for your interest in Ritorno Covent Garden! 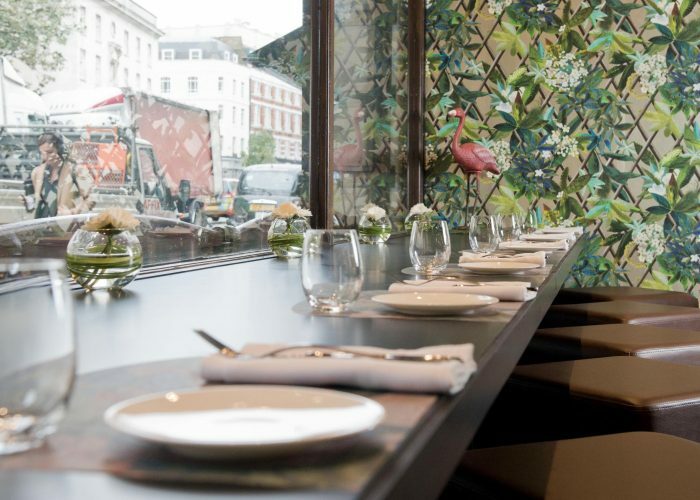 Ritorno Covent Garden – located on a busy Great Queen Street, minutes away from Royal Opera House. 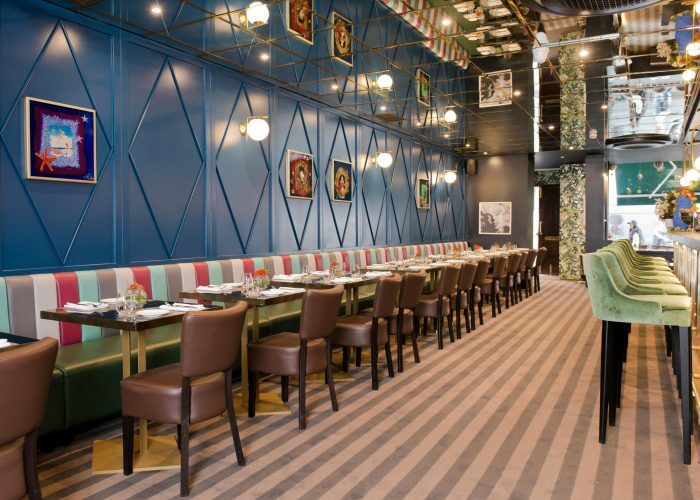 An Italian-style brasserie offering all day dining with an Italian-inspired menu incorporating modern European cuisine. 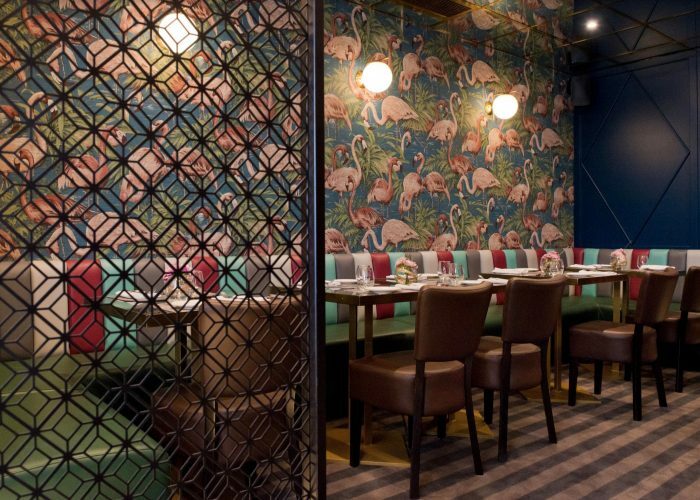 The restaurant is a stylish and tropical oasis with a sleek teal coloured walls and jewel-toned accents. 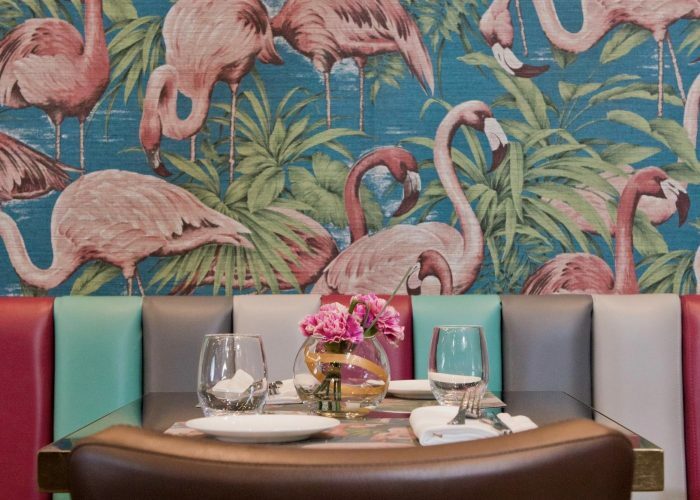 The main dining room is covered with eye-catching wall to wall flamingo-themed wall paper with an expansive bar accentuated with brushed gold accents and modern art deco inspired fixtures and fittings. 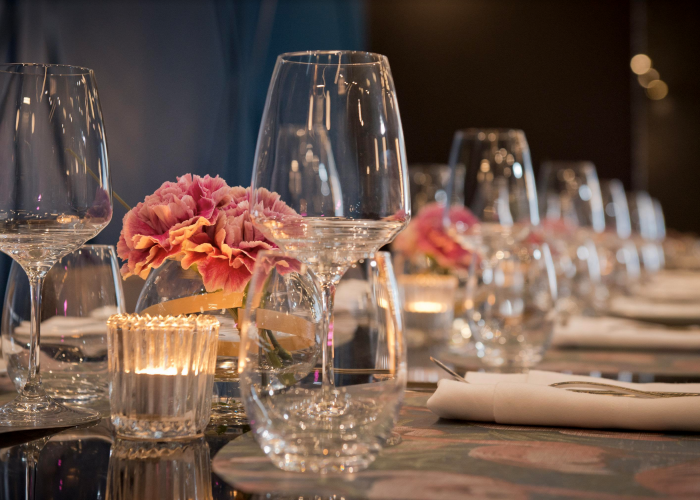 The whole venue is 1,500 square feet and is ideal for big groups, 70 seated and 180 standing. 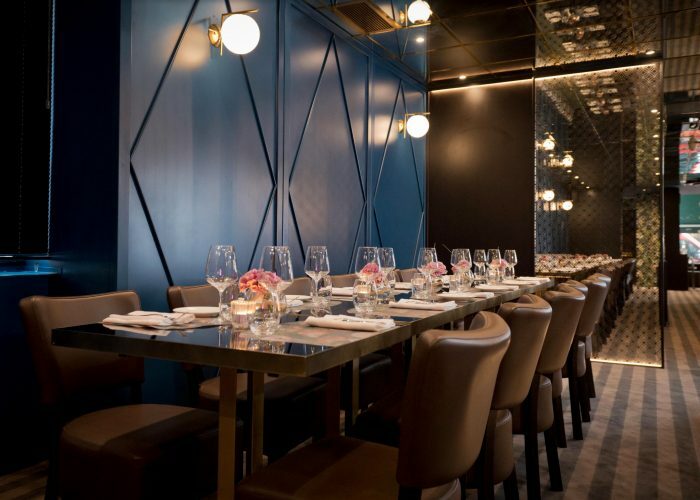 As well there are two semi-private dining rooms: The Flamingo Room, which can host up to 16 people seated; and The Blue Room, which can accommodate up to 20 people seated. 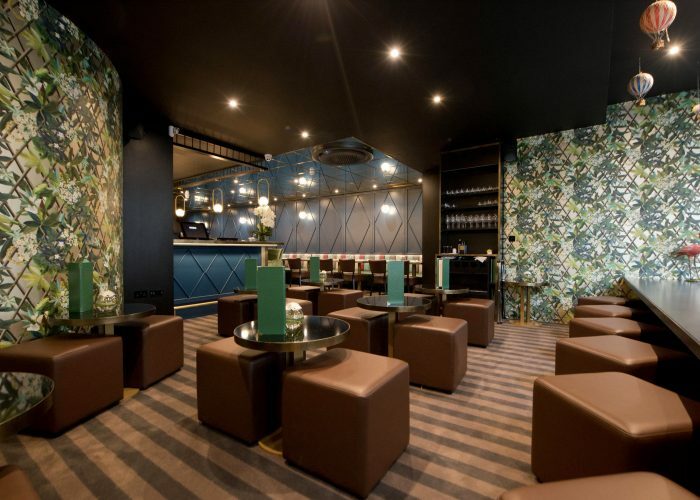 Lounge area is available for up to 70 people for drinks and canapé parties.